Over two million people are proud to call themselves members of Alcoholics Anonymous. If you’re currently struggling with an addiction to alcohol, perhaps you’ve thought about how the 12 step process might be able to help you. That’s what this post is here to answer. Read on to learn more about the fundamentals of a twelve step program. We’ll also tell you where you can find more information on recovery programs and treatment centers in Daly City, CA. The first one is admitting that you are powerless when it comes to your addiction. With alcoholism on the rise in the United States, more and more people have come to accept that, when it comes to drinking, they have no control. Accepting that you have a problem and that you can no longer control yourself around alcohol, is the very first step in recovery. The next part of the twelve step program is understanding that some form of Higher Power can restore control to us. This doesn’t have to be traditional religious faith. Your Higher Power can be anything outside of yourself that you allow to help you to get your life back on track. Before you allow this Higher Power to help you, you must first fully believe in its existence. Find a spiritual path or guide that works for you — there are many different options here! You’ve likely heard the phrase, “Grant me the willingness to accept the things I can’t change.” This is what it’s all about. Here, you’re going to fully give control over to the Higher Power. Since you’ve already lost control to alcohol, you’re reclaiming that control briefly, then relinquishing it to the Higher Power. Here, you’ll need to take a hard look at yourself and the choices you’ve made while using alcohol. You’ll need to accept the wrongs you’ve done. You’ll need to redefine your values and your priorities. In short, it’s all about getting to know yourself again. This means that you’ll likely have to face some unpleasant truths. But remember, it’s all a part of the 12 step process. After you’ve taken this moral inventory, you’ll need to completely accept and own up to your wrongs. You’ll need to come to terms with these wrongs on your own before you can apologize to anyone else. This is about admitting to your Higher Power and yourself the mistakes you’ve made and accepting responsibility and fault for them. Here, you understand that there will always be things you can’t fix. You’ll never be the perfect person. You choose to let the Higher Power make up for the shortcomings in who you are as a person. You become ready to let the Higher Power give you the help you need to grow and fix your mistakes. Now that you’re actually ready to ask the Higher Power for help, it’s the time to ask for that help. You’ve accepted that you won’t be perfect. During this step, you ask the Higher Power to help and make up for what you lack, and guide you in the right direction. You know that your addiction to alcohol hasn’t just impacted your life. It’s also likely harmed — or at least affected — others. During this step, you make a list of the people you’re drinking has hurt, and how it has hurt them. You then become ready to make amends. This is, for many, the hardest step of the program. If possible, whether through a letter, a phone call, or a face to face conversation, now is the time to apologize to those you have hurt. Here, you let them know you understand what your drinking did to them. You also ask them to forgive you — understanding that some might not. Once you’ve made your initial amends and have understood and admitted fault to yourself and your Higher Power? Unfortunately, this doesn’t mean that you’re immune from making mistakes in the future. In this step of AA, you promise to continually understand when you make a mistake, and that you’ll work to correct it as soon as is possible. You commit, in a nutshell, to owning up to future mistakes. Next, you’ll need to make sure that you’re working to stay in touch with your Higher Power. This can happen through prayer, meditation, reading, and other spiritual practices that work the best for you. You understand that you’re not in control, and you re-affirm your commitment to the Higher Power. 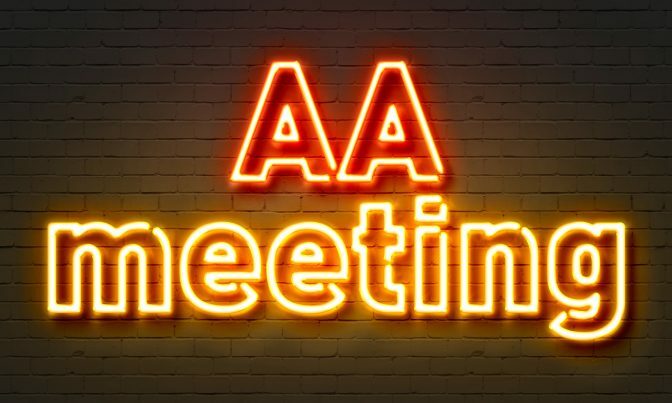 The final step of AA? Knowing that, having been through the process yourself, you can now help others to get better and see the light. Here, you vow to help other addicts. You will work to show them the steps of AA, and commit to the program for your life. What are the 12 Steps of AA and are They Right for You? Remember, if you’re one of the nearly 13% of American adults currently struggling with alcohol, the AA 12 step program may be able to help you to conquer your addiction. You might also want to enter a professional treatment center in Daly City, CA, to increase your chances for long-term recovery. Spend some time on our website to learn more about our treatment options. When you’re ready to accept help, reach out to us to get started. WHAT IS A HANGOVER AND HOW CAN YOU TREAT IT?